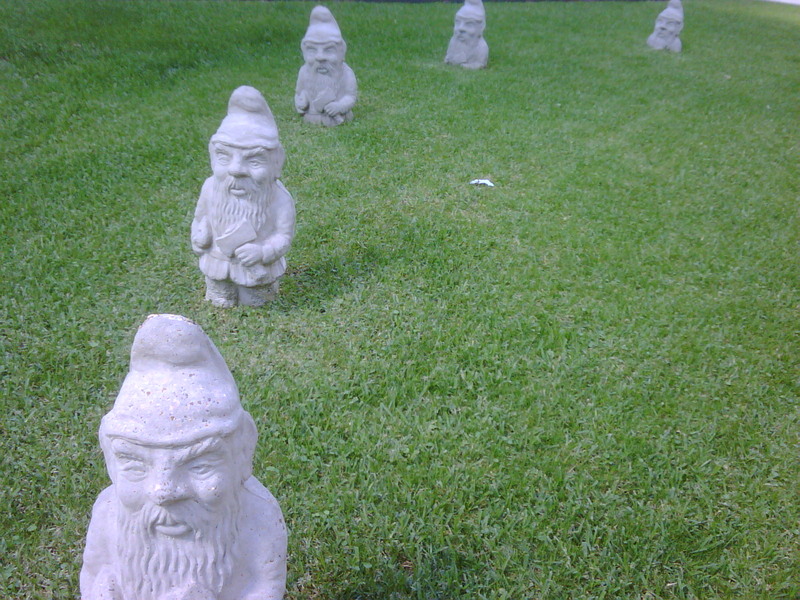 The Seven Gnomes – is this houston? Is that in your yard or what? That’s pretty awesome. In a public park near me they built a miniature stonehenge, it’s the coolest thing I’ve ever seen. its in Downtown at the Allen Center buildings courtyard. i always wondered if that is suppose to be one gnome emerging from the earth in different stages or if it is suppose to be different gnomes.